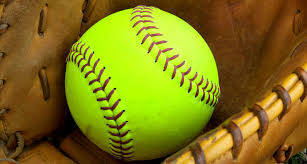 GALION — On Thursday afternoon the Galion Lady Tigers softball team hit the road for a short trip to Northmor High School for a non-conference clash against the hosting Lady Golden Knights. Galion entered the contest looking to move above .500 after a 2-0 start while Northmor was on the hunt for their first victory of the early, 2019 season. The bats came alive early for the Lady Tigers as they hung a two-spot up in the opening frame while holding the Knights at bay in the home-half of the first. In the second, it would be much the same story as Galion tacked on an additional two runs to put themselves in control by a score of 4-0 after two. With ace Madelyn Thomas in the circle silencing the Lady Knights’ offense, Galion would go on to post another run in the third and their final run in the fifth en route to a 6-0 shutout of their hosts. Galion improved to 4-3 overall with the victory and currently sit at 1-3 in Mid-Ohio Athletic Conference play while Northmor falls to 0-5 on the season and stands at 0-4 within the Knox-Morrow Athletic Conference. Thomas went the distance for the Lady Tigers, scattering just six hits on the afternoon while walking a pair of batters and striking out 10. At the plate, the ace finished with a single, one of 13 hits for the visiting Tigers. Rylee Hollingsworth suffered the loss in the circle for the Lady Knights, pitching four innings and giving up nine hits and six runs (four earned) while walking one and allowing home runs to Kayden Caudill and Teanna Greter. Megan Adkins worked the final three innings, allowing four hits and recording a strikeout. In total, Galion plated six runs on 13 hits, committed one error in the field of play and stranded eight total runners on the base path. Northmor was blanked, recording six hits, all singles, while committing two errors and also leaving eight on. In addition to the bombs off of the bats of Caudill and Greter, Gabby Kaple, Nevaeh Clark, Kate Schieber and Emily Sedmak all finished with multi-hit games for the Lady Tigers. Kaple finished with a pair of singles and a run scored while Clark knocked a double and a single while scoring once and driving in a run. Schieber continued her red-hot start to the season, connected for a double and a single while scoring twice and recording another RBI. Sedmak ripped a pair of singles and drove in two in Galion’s shutout. Other offense for Galion came from: Nicole Thomas- 1B; Gracie Groves- 1B; Caudill- HR, R, RBI and Greter- HR, R, RBI. Maddie Hoverland and Lily Tate combined for four of the six Northmor hits while Hoverland also recorded a stolen base in the contest. Aliyah Martinez finished with a single and a stolen base and Michaela Zeger picked up the Knights’ final single. Next up for the Lady Tigers is a road contest against the hosting Crestline Lady Bulldogs on Saturday, April 6. Galion will also be on the road on Monday in non-conference play against the Mount Gilead Lady Indians before returning home for a MOAC game against the visiting Harding Prexies on Tuesday, April 9. Northmor is set to host their next four games, starting with a KMAC doubleheader on Saturday against the Cardington Lady Pirates. On Monday, the Pleasant Lady Spartans are set to come to town before another non-conference game against the Buckeye Central Buckettes on Tuesday.